Recent research shows giving patterns increasingly reflect the diverse society in which we live, with particularly strong philanthropic interests being observed among women and younger donors. On Giving Tuesday, join William Jarvis, Managing Director of U.S. Trust, for an in-depth discussion of investment trends for private and community foundations. We'll also explore the forces shaping giving and volunteering among America's high net worth households, and how the traditional picture of high net worth philanthropy is changing. 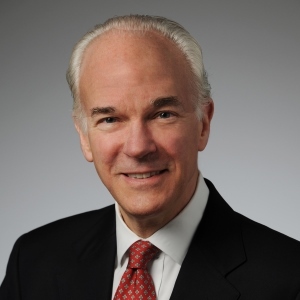 William Jarvis is a Managing Director, Market Strategy and Delivery with U.S. Trust, Bank of America Private Wealth Management based in New York. Experienced with investment policy and governance for endowed nonprofit organizations, he is responsible for strategic thought leadership with institutional and private philanthropic clients. Bill is a financial services executive and attorney who brings 35 years of experience to this role. He joined U.S. Trust in 2017 from Commonfund, where as the Executive Director of the Commonfund Institute he led that firm’s educational, research and professional development activities, serving as Commonfund Institute’s Head of Research for over ten years. During the course of his career, he has worked at JP Morgan, Greenwich Associates, and Davis Polk & Wardwell. Bill holds a B.A. in English Literature from Yale University, a J.D. from the Northwestern University School of Law, and an M.B.A. from the J.L. Kellogg Graduate School of Management.